Bryan Singer has just been fired as the director of the upcoming Queen biopic Bohemian Rhapsody, The Hollywood Reporter confirms. 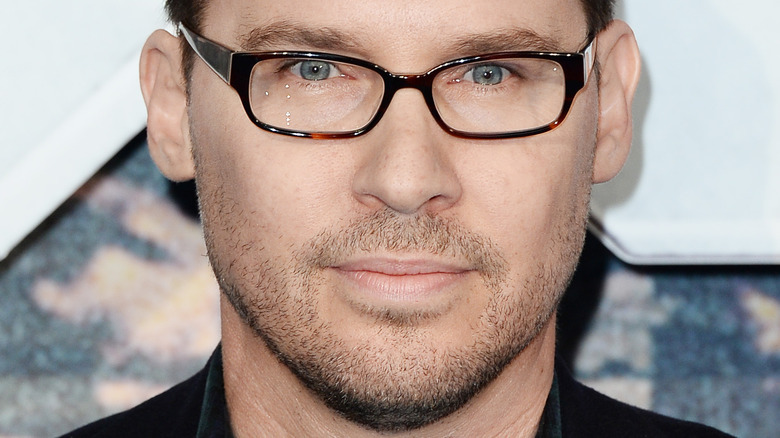 The film's studio, 20th Century Fox, issued a simple statement to the outlet: "Bryan Singer is no longer the director of Bohemian Rhapsody." The choice to remove Singer from his directorial duties "reflected a growing clash" between the filmmaker and star Rami Malek, who plays Queen frontman Freddie Mercury. It was also due in part to Singer's "unexpected unavailability" that was announced over the weekend. Production on the movie, which has been shooting across the pond in London, was shut down on December 1 after Singer did not return to set after the Thanksgiving holiday. Fox stated that filming had been temporarily halted, and a representative for Singer chalked his absence up to a "personal health matter" and expressed that Singer hoped to "get back to work on the film soon after the holidays." Unfortunately, trouble was brewing behind the scenes long before Singer went M.I.A. THR notes that cinematographer Thomas Newton Sigel (whom Singer worked with on X-Men: Apocalypse) had to step in to direct multiple days of shooting while Singer was missing. Sources close to the outlet state that Tom Hollander, who portrays Queen band manager Jim Beach, "briefly quit the film" due to Singer's erratic behavior, though he was ultimately "persuaded to return." Malek also reportedly filed complaints to Fox, citing Singer's disappearing acts as contributing to his unreliability and overall unprofessionalism. Fox Film vice chairman and president of production Emma Watts and Fox Film chairman and CEO Stacey Snider are said to have warned Singer that they "wouldn't tolerate any unprofessional behavior on his part." A Directors Guild of America representative was apparently on set as well, appointed to "monitor the situation" and ensure that Singer would not act out. As for the aforementioned clash between Singer and Malek, the tension came to a confrontation that didn't escalate to becoming physical, but did result in Singer throwing an unidentified object. (It's not known whether Singer hurled the object at Malek directly, in his general direction, or away from him.) The pair resolved their differences shortly after, and filming on Bohemian Rhapsody was set to pick back up again. However, this all occurred before Singer failed to show up on set after the Thanksgiving weekend. He is believed to have been in the States for roughly the last ten days while the cast and crew have been in London. THR remarks Singer's extended absence as the "final straw" for the studio, which led to his termination today. One source states that Singer claims he is "suffering from post-traumatic stress disorder" due to the animosity and tension on the Bohemian Rhapsody set. Fox is expected to announce a replacement director in the next few days. The new filmmaker will complete the final two weeks of principal photography. No word yet on whether the chaos behind the scenes will have any effect on the release of Bohemian Rhapsody, which is currently set to premiere on December 25, 2018.